The BodyTalk System was originally founded in the late 1990’s by Dr John Veltheim, a famous Australian chiropractor. The story goes that Dr Veltheim got sick with an infection that did not respond to treatment. He wound up in the hospital and was told he had 3 days to live. A friend came by to see him before he died and excitedly told him about this new healing procedure he’d been working with, and he asked if he could try it with Dr Veltheim. Dr Veltheim agreed, and a few days later walked out of the hospital and went on to enjoy a full recovery! He went on to create an entire body of healing work that we now call The BodyTalk System. The BodyTalk System has been called the fastest growing alternative healthcare modality in the world, it is designed to address the “whole being” and to effect a profound level of healing. What does that mean? Simply put, in order to achieve and maintain a state of good health, we cannot overlook any aspect of the being’s psyche, whether it’s emotional, mental, physical, spiritual, or environmental. The BodyTalk system is a whole healthcare system designed to support, improve and promote any human or animal’s well-being. Instead of focusing on the symptoms of pain, disease or illness, BodyTalk roots out and reveals the underlying causes. Techniques used in the system will highlight areas in the body mind that are crying out for attention. Working through the concept of priorities, the obvious symptoms may not be the primary cause of the problem(s), and they may not be where the body needs to heal first. 1 What is BodyTalk for Animals? 2 How does the BodyTalk System work? 3 What are the Principles of BodyTalk for Animals and Humans? 3.4 Can You Trust The Body’s Wisdom and Order of Priorities? 4 What is the BodyTalk System for Animals? 5 What about the Human Animal BodyMind Connection? 6 Who is BodyTalk healing good for? 8 How long will it take to see results? “X-rays for hip displaysia ruled that possible problem out, so it’s not that. An orthopedic specialist thought it might be a spinal or protruding disc problem. The third specialist thought it was his ankle! Now they are suggesting hip replacement surgery but that is risky business, expensive beyond belief, and there is no consensus that it would even help him. “He can’t walk on his left foot at all. He’s unhappy, increasingly cranky, and is spending a lot of time alone off by himself. For an animal lover, our furr kids are our family and to watch our pet suffer like this, without a clear answer about what is actually wrong? It’s heartbreaking. If we couldn’t find out what was wrong and a solution to get him healthy and well again, his future looked very bleak. When I communicated with her dog, Teddy, I asked him to help me understand what he felt in his body. He told me that his neck hurt since his dog pal Crystal has jumped on him. His hind end was weak and he felt shooting nerve pains radiating down his backside. He couldn’t raise his head, it felt so heavy. He felt shaky. His pain was very high and constant, it hurt to move. He didn’t want to play anymore, he didn’t even want to eat. He was avoiding his family because being touched hurt too. What a sad puppy, my heart ached for him and his person, Shari. After we communicated and I knew everything he could tell me, I scanned him intuitively. His body showed me inflammation, in his joints and some of his organs too. I carefully looked at his hips, hind legs and backside. Surprisingly, I didn’t pick up anything that was out of the ordinary. So I shifted my focus to his neck, shoulders and forelegs. Oh my. There it was! A slight hairline fracture in one of his neck vertebra along with a subluxation (misalignment of the vertebra). That was putting intense pressure on the cranial nerves. I’d found the source of his pain. It was time for a BodyTalk for animals healing session. Shari excitedly wrote the next day, “I just had to tell you! After we got off the phone for our session yesterday, Teddy slept until about 6 pm. Then, he got up, still limping but noticeably “prancing”. For the first time in quite awhile, his tail was wagging! He is a much happier guy than I’ve seen in two to three months when this all started! He is actually frisky this evening! Before our second BodyTalk for animals session, Shari wrote again, “Just wanted to let you know we finally have a “diagnosis”. The ortho specialist’s x-rays show “aseptic necrosis of the femoral head and neck.” The specialist is saying Teddy needs a total hip replacement. They want to schedule surgery next week. “I believe he did have a pinched nerve in his withers area, but that it is much much better. After our first session Dr G agreed to x-ray that area after you mentioned it, and he saw something odd but couldn’t figure out what it was. However, nothing showed on the x-ray area yesterday. After our third BodyTalk treatment, Shari reported, “Teddy gets stronger daily. Every time I turn around, he’s doing more. He’s playing again with our other dogs, he runs, climbs the stairs, and even jumps up on the bed. And by the way? I’m so much better that I’m schedule to go to work next month! I get that a lot from my BodyTalk healing therapy sessions. 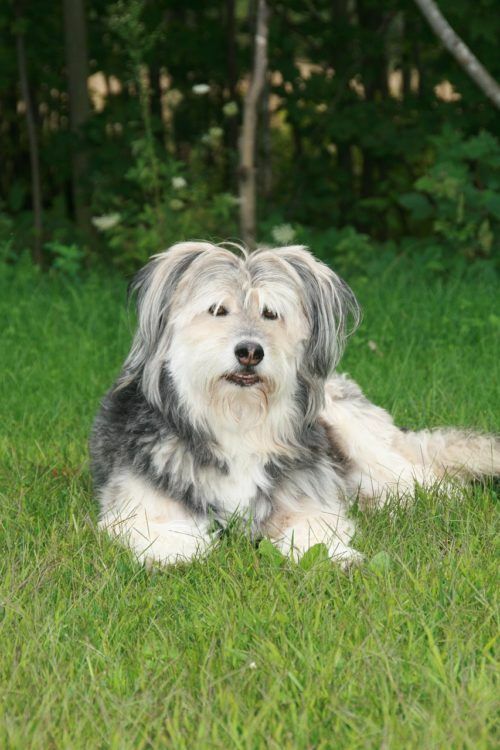 Teddy never did have to endure hip replacement surgery and went on to live a good, happy life. And his person Shari got well too and was able to get off disability and go back to work which amazed her doctors to no end. How does the BodyTalk System work? The beauty of BodyTalk for animals and humans is that it takes a personalized approach looking for lasting change. It respects the body’s individuality and unique needs, then determines the healing priorities accessing each individuals Innate BodyMind Wisdom which serves as a guide for the entire process. Refocusing to a natural healing response establishes increased communication pathways, not just within the body but also within the family matrix and environment. There are many reasons why we have challenges with our health. Often a health practitioner only looks in their area of expertise or at the symptoms, but they never go deep enough or cast a wide enough net to find the root causes. True underlying causes can come from our choices and experiences, life styles, genetics and history, all of which contribute to the current state of health or dysfunction. What are the Principles of BodyTalk for Animals and Humans? BodyTalk is based on the principle concept of the body’s capacity for healing itself at all levels, our Innate Wisdom automatically self guides the healing process and is a critical component of what we know is our inborn intelligence. Synchronizing every cellular activity, maintaining homeostasis, harmony or balance within the whole body mind, the innate wisdom also guides the entire synchronicity in functioning as a whole. Like plugging in too many appliances to the same electrical outlet which then trips the circuit breaker in your home or office, stress causes our bodies to blow internal fuses. Exceeding the body’s original design parameters (health blueprint), the body must find a way to reset or reboot itself. Sometimes, the body simply cannot reset the blown circuits by itself, especially in the face of the constant onslaught of new challenges and stressors. In this situation, the body must find a way to continue in a less than optimal state and systems begin to break down. Ultimately, stress and too many blown circuits lead to degeneration, chronic pain and disease. These symptoms are signs that the body is falling behind in the natural healing process, and when it gets too far behind, it can show up as high blood pressure, chronic pain, irregular heart rates, digestive disorders, fatigue, arthritis, tumors, hormone and endocrine dysfunction, musculoskeletal problems, foggy brain syndrome, and more. In constant communication, every cell, organ, atom and system must be in contact and work efficiently with the rest of the bodymind. Nervous systems and subtle energy circuits in the body, such as chakras and meridians, can become compromised, weak or disruptive when stressors sabotage or undermine the whole. Through the art of BodyTalk, we are able to refocus these energetic circuits, allowing for more efficient communication within the pathways. The end result is that the body recovers quickly! It can finally catch up rebalancing itself and then continue on in a healthier, happier state of being. Symptoms disappear, healthy function is established, and transformation occurs, all within one or a few sessions. Can You Trust The Body’s Wisdom and Order of Priorities? When the body is wounded, say by a cut to the finger or bruise or a broken bone, the body heals the injury in a very specific sequence that includes physical, energetic and bio-chemical reactions. The body itself addresses all healing in a certain order to heal itself as quickly as possible. Relying on the guidance of the Innate BodyMind Wisdom, BodyTalk practitioners are guided to identify weak, faulty or broken lines of communication. From there, it’s a relatively simple matter to find the proper order in which they must be restored and reconnected into more proper healthy functioning. Bodytalk practitioners rely on a form of kinesiology, commonly called “muscle testing”, a type of neuromuscular biofeedback. What is the BodyTalk System for Animals? The BodyTalk System is a state of the art, safe, effective holistic healing therapy that allows the body’s energy systems to be re-synchronized so they operate as nature intended. Each system and cell is designed constantly to communicate with each other, allowing adaptability, resilience and flexibility. Various life stressors compromise these lines of communication, leading to a decline in physical, emotional, and/or mental health. Reconnecting these lines of communication enables the body’s mechanisms to function at optimal levels, preventing disease and rapidly accelerating the healing process. BodyTalk for animals, in combination with animal communication and intuitive medical scanning, has proven to be extraordinarily helpful with behavior and health problems, allergies, environmental sensitivities, viruses and infections, depressed immune systems, brain dysfunction, musculo-skeletal pain, and psychological problems, among many others. Chronic pain, illness and/or disease often occurs because of something that is bothering us in our life, usually sourced in our unconscious mind. Fundamentally, our body is designed to heal quickly and efficiently – it is part of our survival mechanism. If we were not designed this way, we as a species would have died off a long time ago. Like all living organisms, we are vulnerable to stress, toxins and injury on the macro and micro levels. 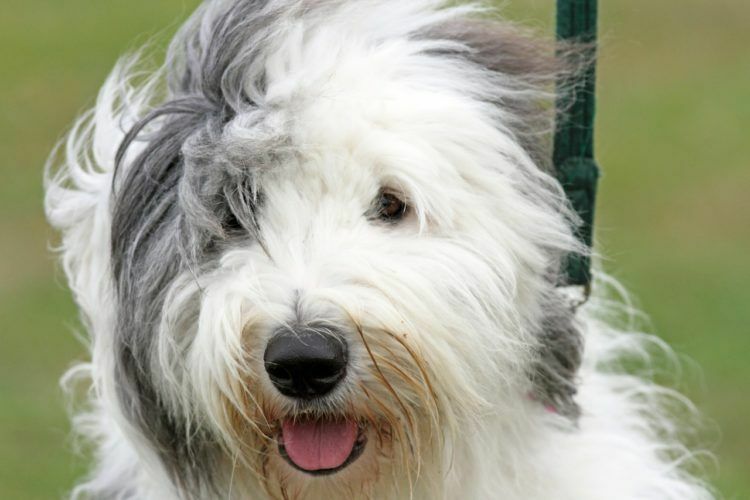 Animals in the BodyTalk System have their own unique type of healing needs and practice. Many of my BodyTalk colleague practitioners who also work with animals report noticing that animal’s responses can be even more dramatic than their human clients! What about the Human Animal BodyMind Connection? In my work with BodyTalk for animals, I’ve discovered that animals often mirror their human’s illness, dysfunctions and stress. They also try to help with their person’s pain or woundings by acting them out or taking the dysfunctions within their own bodies. So like with Shari and Teddy, in order to help the animal, we must also work with the human caretaker(s) and/or family. Group BodyTalk sessions including humans and pets are fascinating, extraordinary and powerful. Often every member of the family will notice changes in their health, well-being and moods, even though we may seem to be focusing just on the animal’s healing. This is another reason why it is so important to communicate with animals as part of the healing therapy. If the animal’s pain, illness or stress is not their own, then the practitioner could be focusing on the wrong being. If you or your pet are not experiencing rapid rebalancing and resilience in your healing and coping skills, then something is blocking you. 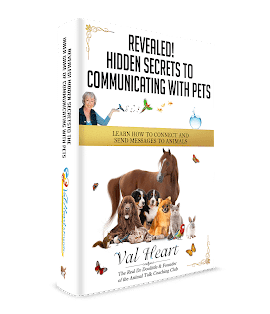 The BodyTalk system for animals and humans is about uncovering what is still unresolved so your body, mind and spirit can heal, and you can move forward in your life. The BodyTalk healing process is designed specifically to help people and animals suffering from chronic pain or disease, trauma, behavior problems and performance issues. I consider it the missing link in Healthcare today because this gentle, dynamic process is all encompassing, and works on all levels to explore for deeper truths, resolving old hurts and wounds, reframe trauma and let things go that you no longer need to carry or hold on to. Who is BodyTalk healing good for? Have you tried other healing approaches, traditional and alternative, with little or no long lasting results? Are you stuck in unhappy relationships? Do you want to connect and fulfill your purpose so you are in alignment with your spirit, body and mind? If you answered yes to any of these questions, then BodyTalk is for you! Your practitioner will guide you to relax and rest while they tune in to the Innate BodyMind Wisdom. If you are in person, they may use your arm for the kinesiology feedback. If you are not in person, they will likely use a surrogate tool to help them focus and follow the protocol. As issues are revealed, a procedure will be put in place to resolve, reconnect and rebalance. Many practitioners don’t tell you what they are working on, they feel it interrupts their concentration. Others may tell you everything. I personally prefer to tell you everything so you can follow along with greater understanding. Questions are encouraged. I also include your animal’s thoughts, feedback and commentary during your session which is always uniquely gratifying, enlightening and validating. You may notice many sensations in your body, anything from tingling to throbbing, to deep peaceful relaxation. Some patients notice nothing until they get off the table or try to stand at which point they feel dizzy and in an altered mode. After your session, be sure to ask any questions or report any lingering sensations. Your practitioner may also encourage you to drink plenty of water or avoid certain things, or, do new things to assist in your healing. Most of my clients feel much better by the end of their sessions. However, it is important to note that sometimes symptoms may seem worse before they get better – that is because the BodyMind Wisdom is enhancing focus on that area and is in an intensive healing mode. Because we are a unique constellation of history, trauma and accumulated stress, everyone is different. Most clients feel and see results right away even after the first session. Because it took awhile for you to get where you are now, it can take some time to heal what all has become broken or dysfunctional. What is done in your session will depend on what your priorities are, and on what your goals and challenges are. Plan on committing to at least three sessions. Then we’ll reevaluate your priorities. Many if not all of the original symptoms will have resolved. However, it’s also possible underlying new ones may surface. That is normal and is part of the healing journey. Time, toxins, injuries and the various stressors of life can take their toll. Our goal is for you to be resilient, adaptable, well capable of coping with whatever life throws your way. Every BodyTalk practitioner enjoys a unique knowledge base, experience and skill set. You want to find someone exactly right for you and/or your animal(s). Many practitioners work long distance, and some prefer to be in person. 1: Go to the International BodyTalk Association and review their practitioners list. Evaluate the practitioners specialties and expertise carefully. 2: When you find someone who interests you, contact them. Ask specifically about their work and how long they’ve been practicing. 3: Find out how far along they are in learning the BodyTalk System of healing. There are many modules of learning including the PaRama college which is state of the art, in depth, advanced training. Be sure they have completed the BodyTalk for Animals training modules. 4: Tell them about your situation and see if they have any experience working with your animal’s type and needs. TIP: If they do not, then I recommend you move on to someone else. 5: Check their credentials, pricing and testimonials. Remember that credentials are only a starting point, because not all practitioners are created equal. Do they have any guarantees? Or, do they have any recommendations for you? How do they work best, in person or long distance? Ask any other questions you need to know to make a good decision for yourself. 6: Finally, how do you feel with this person? If you feel good at this point, sign up and experience a session. If you do not feel good, then thank them for their time and move on to interviewing the next practitioner. TIP: If you are working to improve the health of your animals and their well-being, you want a practitioner that is able to communicate with animals and that understand intimately the intricacies of working with the Human Animal BodyMind Connection. Many practitioners do not know how to talk to animals, or about the Human Animal BodyMind Connection. They only know the BodyTalk protocol. That is tragic because animals have much to tell us and often healing occurs when someone can finally hear their voice, respect what they are thinking, and open the channel to tell us what we don’t know yet. Many times the issues at hand are coming from their person or family, which much be discussed in order to clear properly. All of which is so important to healing, trauma recovery and well-being. Heart to heart communication is the first step in solving every problem, improving relationships and that includes resolving health issues too. The BodyTalk System is an all encompassing umbrella health system, and includes all healing modalities such as allopathic, Ayurvedic, Traditional Chinese Medicine and Bio-energetic Psychology to name just a few. The reason is because we need a true understanding of physical well-being as it connects to psychological well-being. The depth of the BodyTalk process is why it’s such an effective healing system. When we understand the energic psychological makeup of the body mind and spirit, then we can begin to appreciate how and why disease and pain develop, how it manifested, and how true health can be achieved and maintained. If you and/or your animal friend could use a BodyTalk healing session, then let’s get started. The sooner the better! Choose one of the healing consulting plans below that’s right for you and your animal. Once your payment has been received, you can immediately schedule your sessions whenever you want them from the available times on Val’s schedule. Note: If you choose a payment plan, there will be 30 days between payments. Payment plans are not available if you choose to use PayPal.